One of the most basic things for taking care of your skin can often be forgotten about; your lips. 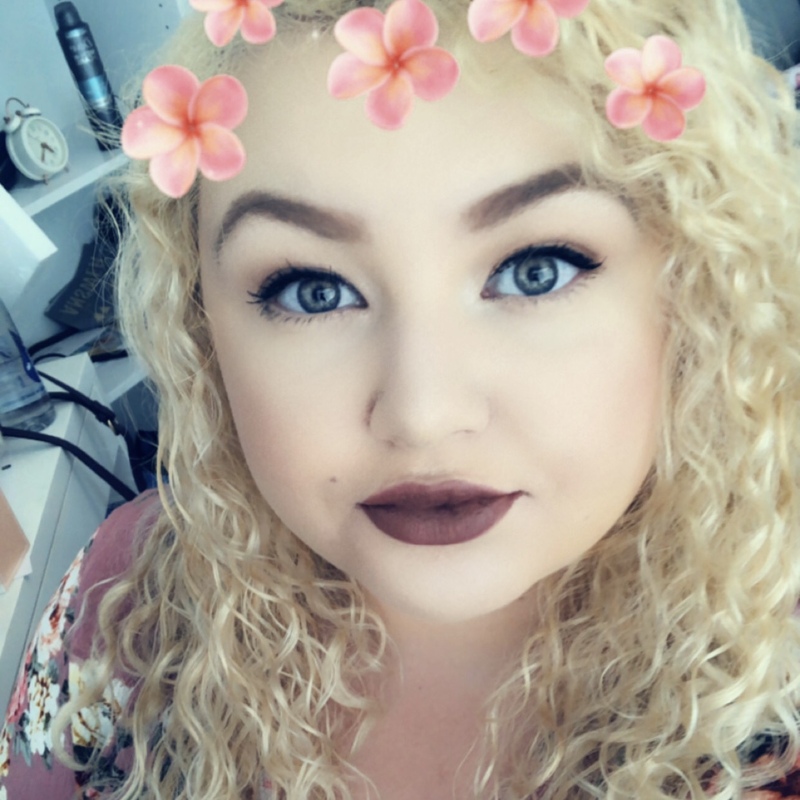 I can't really wear lipstick with dehydrated lips as it doesn't tend to apply correctly and I'm left without a smooth finish. For this reason, I need to ensure that my lips are properly moisturised to prevent them being sore and cracked. Taking care of your them is something to be aware of all year round, as they can become dried out by anything from those cold crisp mornings to the sunburnt from the hot sun. 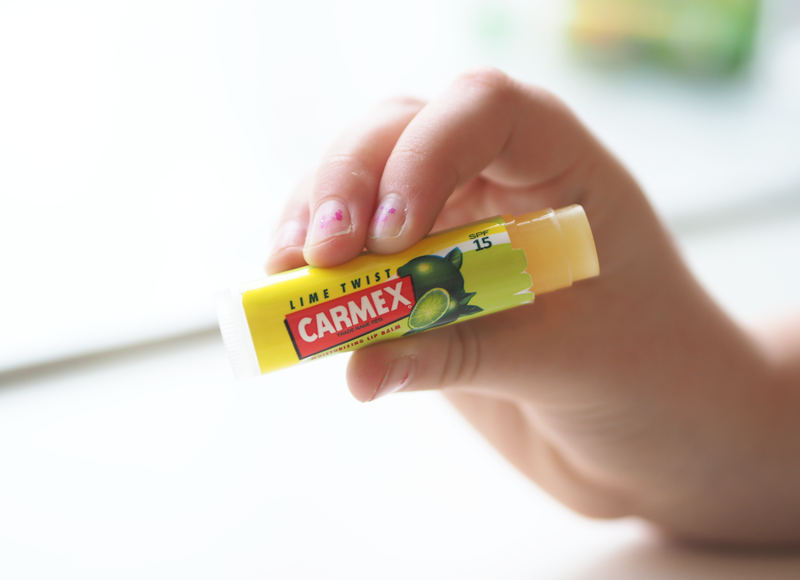 Carmex has a range of products that are designed to help keep your lips looking and feeling nice and healthy. Their lip balm will provide enhanced hydration that will tackle those dry lips. It contains Vitamin E which helps to prevent premature ageing and behaves as an antioxidant. 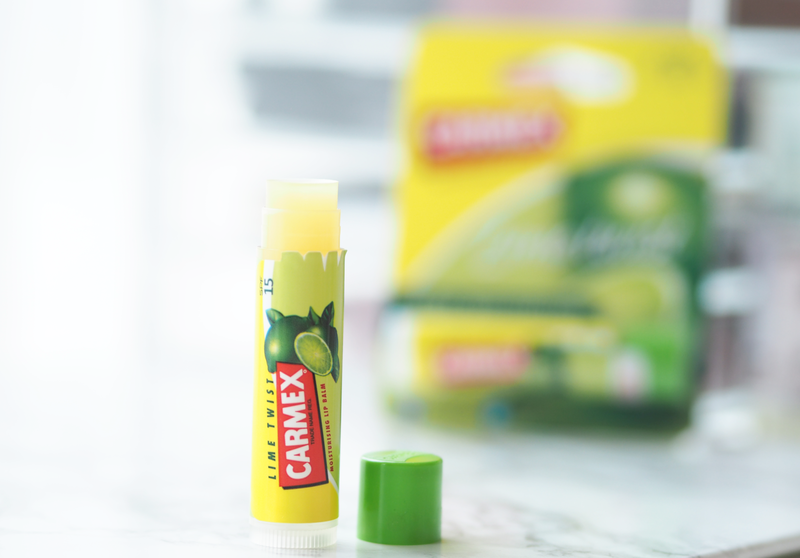 The Aloe will calm sensitive lips and make them feel really smooth. Another benefit of this balm is that it has SPF15 formula that will protect against the sun. 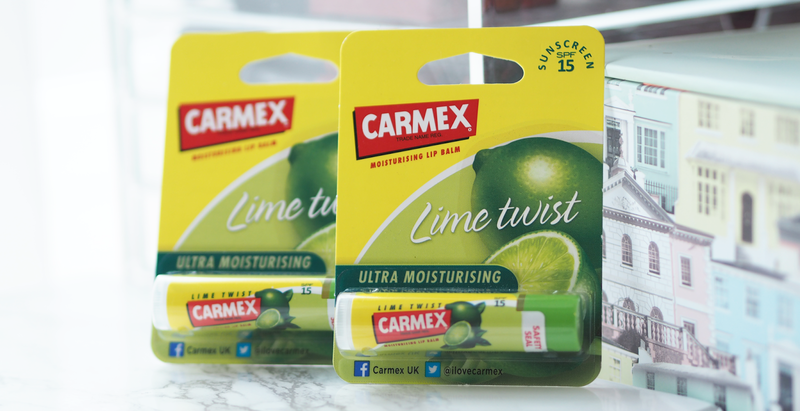 I've tried this lip balm out in the lime twist flavour which gives your lips a bit of a tingle, so I don't think it would be for everyday use but ideal to keep in your handbag for those days when you're in need of some hydration for your lips. 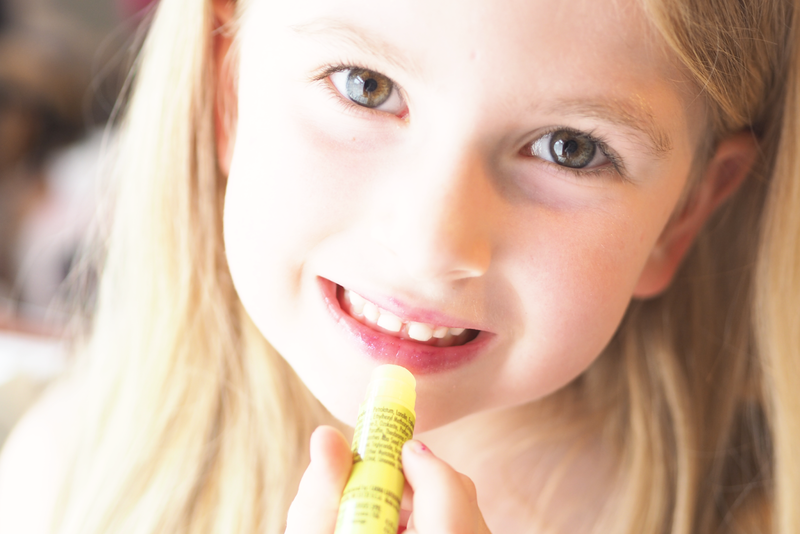 As I was taking photos my little sister wanted to get involved so I decided to let her demonstrate how you apply the lip balm. She seems to be a natural at modelling products!